I have another Valentine Nails of the Week for you today! These were also pretty simple to do and look really fun and bright! I decided to do a gradient for this design because I thought it would look really feminine and interesting, so it took a little more time than the previous design (see that post here). I started off with a base of Sally Hansen's 'White On', waited for that to dry and then used a simple kitchen sponge and 'White On' with Revlon's 'Sweet Tart' to create the gradient. 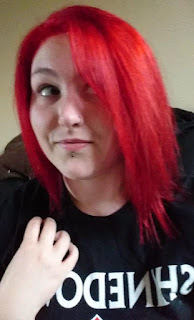 I did the gradient twice so that it was more seamless and then waited for it to dry. 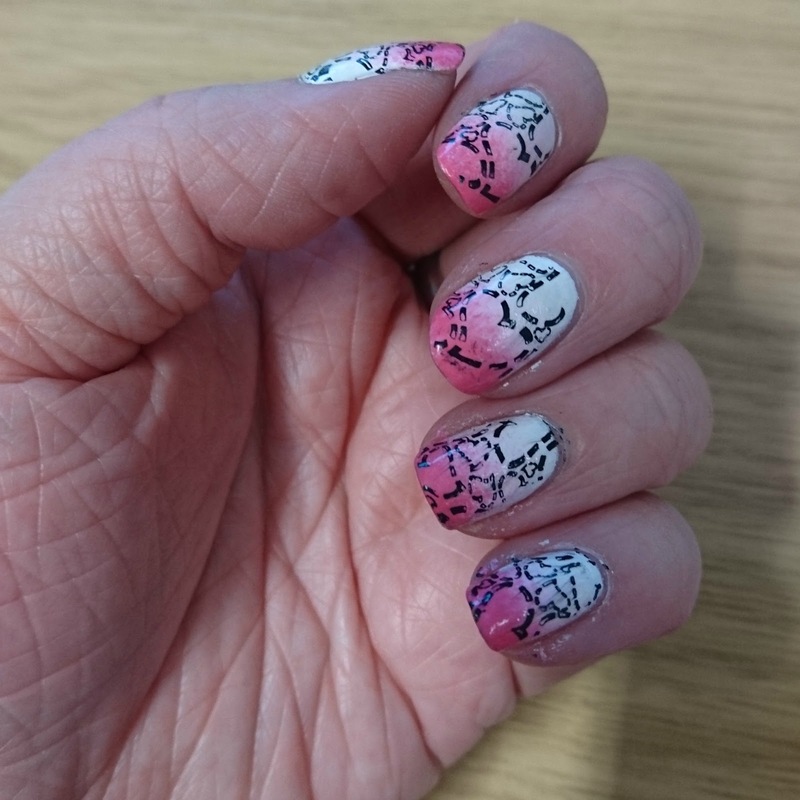 I then used my Cheeky stamping plates to create the design. I used a design that had a lot of different sized hearts on that seem to be stitched. I used my Konad stamping polish in black and applied this to all of my nails. I then finished with my Essence top coat and my Quick Dry drops! I really like the colour of the gradient, I think it can be used with a lot of other Valentine designs, or on it's own! Have you designed any Valentines nails? What do you think of this design? NOTW 20: Tortilla Chip Day Nails! Valentines Day Eye Makeup Tutorial!